These roses are invariably hybrids from Rosa chinensis ‘Minima’ and have all the qualities of a good temporary houseplant, yet they are seldom seen indoors. There are dozens of excellent varieties, with flowers in all colours, from white, pink, and cream through oranges, reds, and yellows. Plants may bloom indoors from early spring to late summer, depending on variety, but they should be treated as outdoor plants.After the leaves have fallen, give the plant a two-month rest period and in late winter prune it, cutting stems back by about one-third. Then bring it indoors and leave it in an unheated room for a week or two before moving it into the warmth to start it into growth. 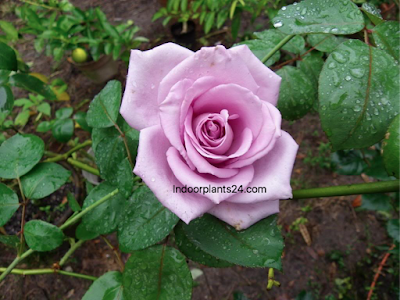 Put the plant in a brightly lighted location, give it plenty of water when it is flowering, and deadhead it to prolong the flowering season. 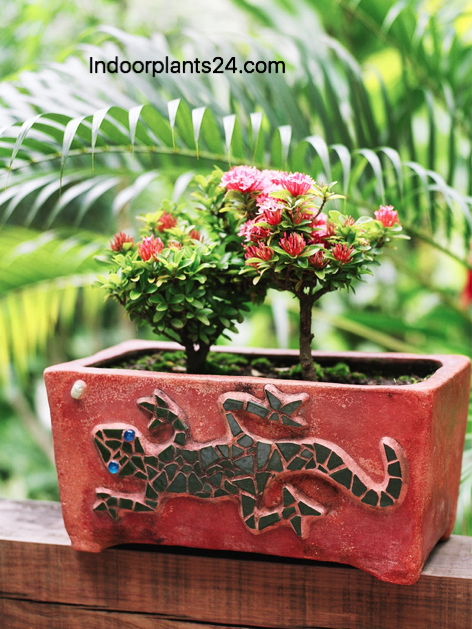 REPOTTING: In fall, in a pot large enough to accommodate the roots. Overwinter the plant in a cool greenhouse or shed or on a balcony, or bury the plant in the pot outdoors. PROPAGATION: Take tip cuttings in spring; they do not, however, always come true to type. KEEPING PLANTS: Miniatures are prey to all the usual rose pests and diseases; deal with them as you would for other rose types. Full sun or bright light while the plant is actively growing. Normal room temperature during the period of active growth. Keep below 45°F/7°C for 2 months during the rest period. Water well in the growing period; keep the soil just moist at other times. 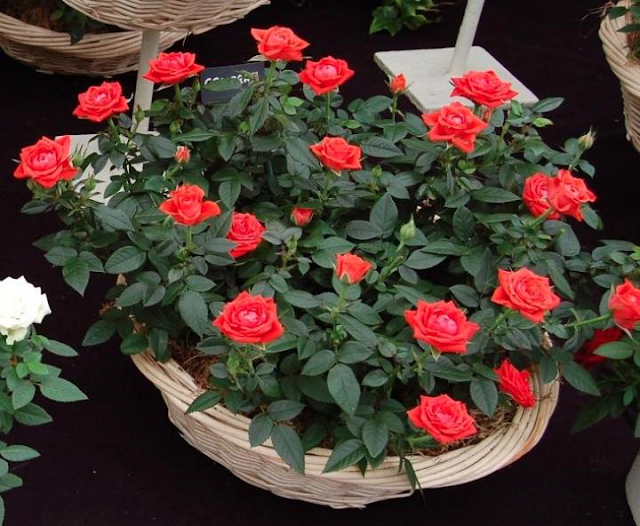 Mist the leaves regularly and stand the pot in a tray of damp pebbles, but make sure that ventilation is good since roses are prone to fungal diseases. 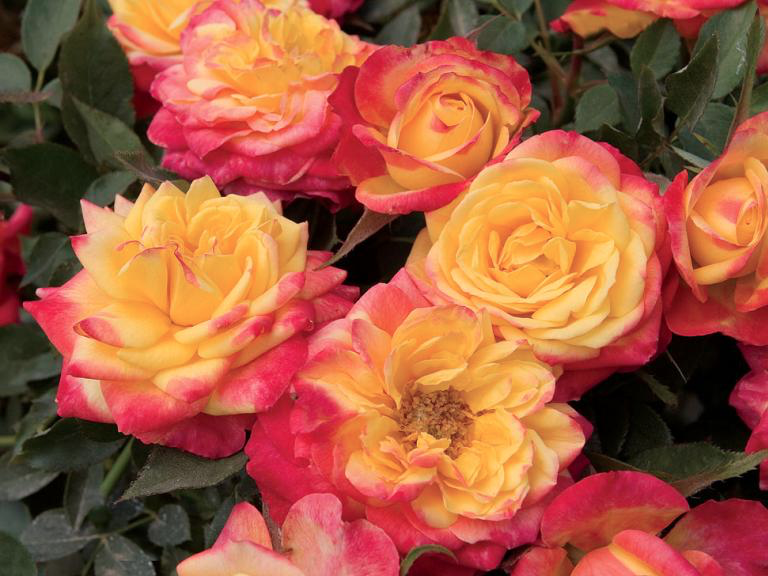 Feed every 2 weeks from early spring to late fall with a standard rose fertiliser.